Your monthly source for everything PrePass and highway safety related. Not subscribed to this newsletter? Subscribe now. What is the Difference Between PrePass and E-ZPass? In Roman mythology, Janus, the god of beginnings and doors, gave us the month of January. He is typically pictured as having two faces: one looking back and one looking forward. We’re following his lead, looking back at 2018 and forward to 2019 when it comes to trucking regulations and other industry issues. To find out what may come in 2019, a good place to turn is the semiannual federal regulatory plan, under this administration called the “Unified Agenda of Regulatory and Deregulatory Actions.” Each federal agency is required to list both prospective regulatory actions and anticipated elimination of regulations that are ineffective, duplicative, and obsolete. ...Read More on the PrePass Blog. Each year there are more than 450,000 reported truck crashes in the United States, involving the newest of drivers to the most seasoned veterans. Often these crashes are not the fault of the truck driver, but still result in a lawsuit being filed against a fleet and driver. That’s why it’s important to know what to do immediately following a crash. 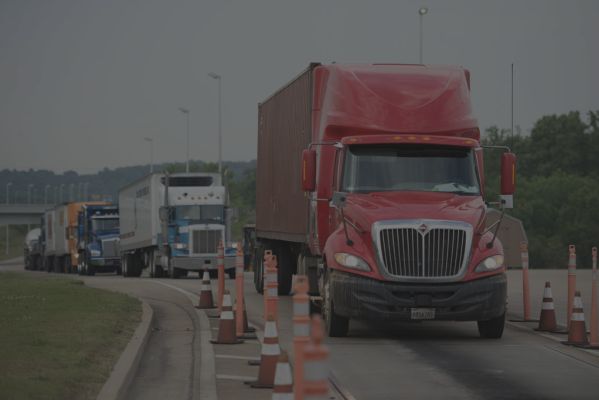 Listen to this latest installment of “Eyes on the Road,” presented by PrePass, as host Evan Lockridge talks with trucking defense attorney Doug Marcello. Marcello helps fleets prepare for inevitable crashes and represents fleets and drivers on a variety of trucking issues. In this episode, he discusses what to do in the event of a crash and steps you can take to minimize legal problems. He also provides steps you can take now in preparation for a crash. There are new developments warranting the attention of motor carriers and drivers when it comes to illegal drug use in trucking: the impact of marijuana legalization; the potential approval of hair testing; and the coming federal drug and alcohol clearinghouse. The impact of marijuana legalization. Ten states, the District of Columbia, and recently Canada, have approved recreational use of marijuana. Many more states have legalized medical marijuana use under certain circumstances, while other states have decriminalized the possession of small amounts. The ready, legal availability of marijuana in several states must be coupled with a strong reminder for commercial truck drivers, that marijuana is still illegal, federally. PrePass and E-ZPass have similar names and both offer electronic tolling services using transponders. However, the two services are very different. E-ZPass is a group of toll authorities operating primarily in the Midwest and northeastern United States. PrePass offers many services, including PrePass Plus that provides electronic toll payment services in the E-ZPass network as well as many other tolling networks throughout the continental United States. Copyright © 2018 HELP Inc., All rights reserved.